I try to make personalized ornaments every year. 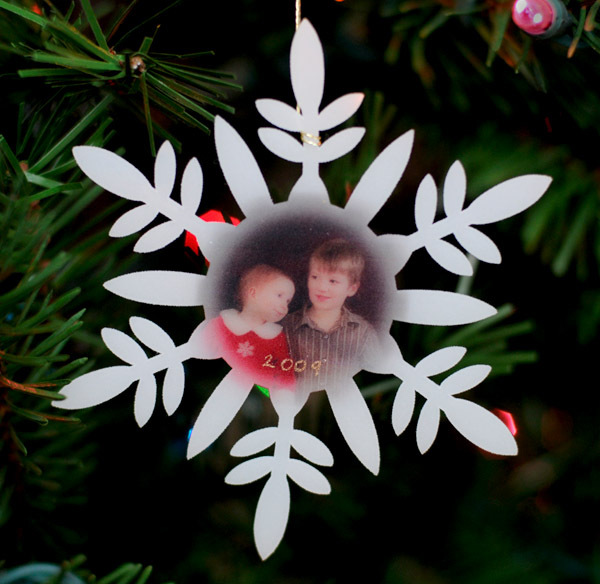 This year I made snowflake ornaments using shrink plastic and SCAL. I used shrink plastic that you can use in your inkjet printer and printed a photo of my kids on it. To center the photo in the snowflake I used the hinge method described here, except when using SCAL it isn’t necessary to note the blade location. I used a 60° blade and multicut. One word of caution, I had to use a new blade for each snowflake to get a clean cut. 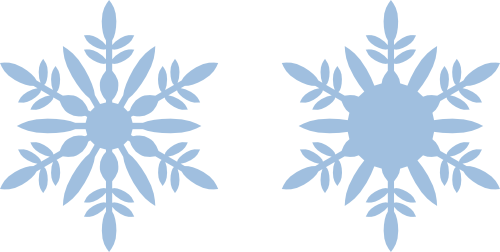 I used a multi-cut of 4x with a new blade, the second snowflake required 8x and the edges were not as clean. This was what it looked like after I baked it. 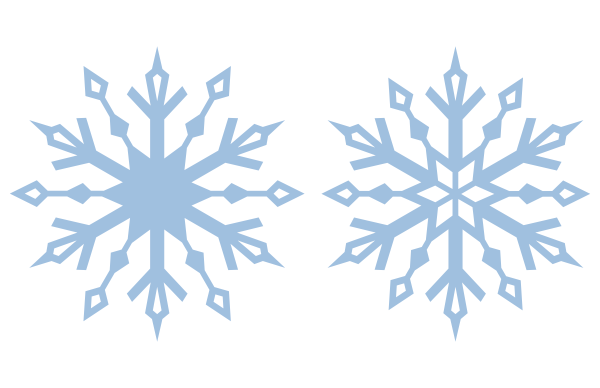 Here are two versions of this snowflake. Snowflake A was my original design, and Snowflake B was my modification for the photo.